If you’re searching for a gutter company to install new gutters on your Columbus, Ohio, home, look no further than 31-W Insulation. Since our founding in 1972, we have helped countless homeowners with their gutter problems by providing top-notch products and professional installation services. 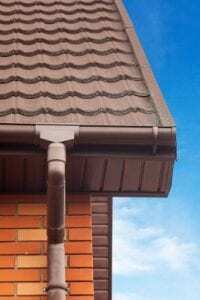 Rainwater can cause costly damage to your home’s foundation if it’s not properly channeled away from the house – but you can avoid this and other problems by having 31-W Insulation install a brand-new gutter system on your home. As your gutter company, 31-W Insulation has all of your installation needs covered. Once you’ve selected the gutter system you want for your home, our factory-trained technicians will take care of the rest of the details. Our team will ensure your new gutters are carefully installed to function perfectly and look great for years to come. Contact 31-W Insulation today if you want complete gutter services from a trusted company serving Columbus, OH, homeowners.